The beautiful heartland of Minnesota is home to Ojibwa people. Our camp derives its name from the Ojibwa word for heart, “odayin”. Residential Camp allows campers grades 1-11 to enjoy swimming, boating, arts and crafts, volleyball, horseback riding, nature, basketball, and music in a safe, medically-supervised environment during a five day experience. 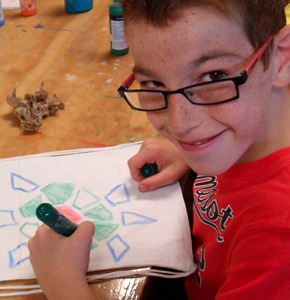 Day Camp allows campers grades K-3 to experience arts & crafts, nature, and new friends while receiving an introduction to our mission during this five day morning program. Family Camp is an opportunity for families affected by heart disease to come together for a weekend full of fun, education, support and camaraderie. Winter Camp offers previous Residential and Day Camp campers the chance to reconnect and experience snowshoeing, broomball, and sledding over a three day weekend in February. The Moms Retreat is a Saturday – Sunday program which includes meals, lodging, optional spa and yoga activities, fabulous guest speakers and camaraderie.